COSCO Shipping International (Singapore) Co., Ltd., an investment holding company, provides ship repairing, ship building, and marine engineering services primarily in the People’s Republic of China and Singapore. The company’s services include ship repair, conversion, and jumbolisation; new builds; and oil rig repair and construction services. It also transports dry bulk cargos, such as grain, iron ore, coal, steel, cement, and fertilizer through 12 dry bulk carriers with a capacity of 698,306 dwt serving shipping companies and cargo owners. In addition, the company offers various services comprising document preparation, collection of freight, cargo operation, vessel husbanding, customs declaration, port authority coordination, administration and settlement of cargo claims, transshipment management, bunkering services, container handling, cargo canvassing, and other value-added services. Further, it provides container repairs and other services; and fabrication works services, as well as produces marine outfitting components. Additionally, the company offers property management services; overhaul, repair, commissioning, and spare-parts replacement services for governors, turbochargers, and engine fuel systems; ship corrosion control services; and design, manufacture, sale, and technical services relating to vessels and industrial instruments, as well as trades and invests in properties. It is also involved in owning and chartering ships; providing shipyard financing; and marketing and selling shipbuilding and offshore project activities. The company was formerly known as COSCO Corporation (Singapore) Limited and changed its name to COSCO Shipping International (Singapore) Co., Ltd. in April 2017. The company was incorporated in 1961 and is based in Singapore. COSCO Shipping International (Singapore) Co., Ltd. is a subsidiary of China Ocean Shipping (Group) Company. $500m contract termination casting a long shadow. "We doubt the simultaneous string of order wins announced by Cosco, amounting to US$400m, will mask the negative impact of the termination of a contract worth more than US$500m," said CIMB in its flash note. Cosco’s only drillship order, due to be delivered in 3Q12, has been terminated by its owner, which is now seeking a US$110m refund. CIMB cites a report from Riglogix, which suggests that Odjfell is the drillshp’s owner and the vessel’s status is “under inspection”. "Cosco could sell the vessel for US$500m (vs. about US$600m built in Korea), but the sale may prove to be a loss as it could cost Cosco more than US$500m to complete the vessel. More modifications may be required to suit the new owner's requirements," said CIMB. "Arbitration is likely to take long to reach a settlement and we expect any provision made in this regard to wipe out its FY13 or FY14 profits," it added. Cosco Corp (Singapore) said its third quarter net profit fell 61% to $16.4 million from the same period a year earlier due to lower contributions from dry-bulk shipping and shipyard operations. Net profit attributable to equity holders of the company fell 84.1% on the year to $4.2 million in the third quarter. Cosco Corp, a subsidiary of China's state-owned maritime conglomerate, China Ocean Shipping (Group) Co, said its profit for the first nine months of the year dropped 68% to $26 million. The company's order-book stood at $7.2 billion at the end of September, up from $6.7 billion three months earlier. 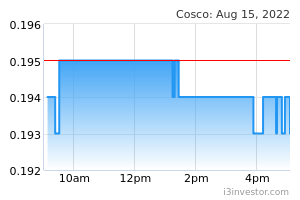 Cosco Corp shares closed at $0.79, down nearly 12% so far this year, compared with a 1% gain in Singapore's benchmark Straits Times Index. Cheong SeowLing Have you read the CIMB report? inphyy Cosco Corporation (Singapore) Ltd - Can it earn higher margins from big order book – are all the analysts wrong? 20/8/2013 – Analysts are loathe to give SELL calls, but in the case of Cosco Corporation (Singapore) Ltd they are almost unanimous in their bearishness, after Q2 FY2013 results. Higher marine engineering revenues couldn't make up for declines in ship building and repair activities, which lead to a fall in revenue and profit. Near term prospects are also lacklustre. Orders are up at US$6.7 bln, thanks in part to a US$170m jack-up rig order and a RMB 590 mln order for an offshore supply vessel. But margins are already thin at around 10.8% in terms of gross margins, and 2.1% on a net basis, and the analysts aren't convinced that it can turn this around. There are no bullish reports. The Reuters survey of analysts shows that 8 have a SELL, a further 8 analysts have an UNDERPERFORM, and only 1 has a HOLD call on the stock. Price targets range from 46 cents to 83 cents per share, with the median at 69.5 cents – which is roughly where the stock is currently trading. OCBC Investment Research says new orders, while plenty, will earn low profit margins in the face of stiff competition. Also, payment on these orders will also only come in once the projects are delivered, which will put pressure the company's already debt-laden balance sheet. If China's credit situation deteriorates further, it warns, Cosco could become vulnerable. OCBC's recommendation is a SELL with a price target of S$0.60. Maybank Kim Eng Research opines on similar notes and also says yard underutilisation will keep margins down. Again, Cosco's debt level at S$3.7 bln is a big concern, with US$1.3 bln having to be repaid within a year. It could refinance this debt, but it will likely be at a higher cost than before. 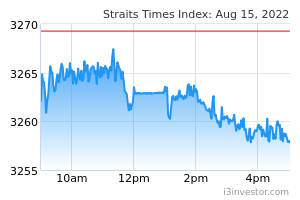 It has a SELL recommendation with a target price of S$0.65. CIMB Research adds to the bleak outlook by pointing to low contract values for shipbuilding orders, and coming greater technical challenges and higher costs. While CIMB Research has the slightly nicer-sounding recommendation of UNDERPERFORM, its target price of S$0.46 is actually below the others. Investor Central. We keep your investments honest. Question 1. What strategies is it adopting to increase margins? Question 2. How concerned should investors be about $1.3 bln in debt repayments falling due in the next 12 months? Question 3. Analysts are concerned about execution – are you? We have sent these questions to the company to invite them for an on-camera interview, and/or seek their written response. Sofar, we have not had a reply (which is why you are seeing this message). ekomuwa cosco ever at its low at 0.605 on 28 Nov 2008, more recent low on 28 Aug 2013 at 0.665....this means it still have chance to go down by 4.5ct...from yesterday closed 0.71....but what was the possibility?? anyone can advice? Net profit could be below S$50m. COSCO Corporation (Singapore) is facing its lowest earnings year this 2013, according to OCBC Investment Research, possibly a net profit of below $50m for FY13 compared to S$139.7m and S$105.7m in FY11 and FY12, respectively. "Indeed, after five quarters of either little cost overruns or reversal of provisions made earlier, COSCO returned to making provisions on its construction contracts again, dousing hopes that it is gaining footing on the execution front," said OCBC. "Looking ahead, we expect the operating environment for the group to remain difficult. Any credit tightening in China may also affect the ability of customers to meet their financial obligations," it added. lsngee COSCO Corporation (Singapore) Limited wishes to announce that COSCO (Guangdong) Shipyard Co., Ltd, a subsidiary of the Company's 51% owned COSCO Shipyard Group Co., Ltd, has delivered a Self-erecting Drilling Tender Barge, to Energy Drilling. The delivery documents were signed by and between COSCO Guangdong and the buyer recently. The tender barge has a working depth of 2,000 meters, a drilling depth of 20,000 feet and is equipped with heavy lift cranes with a safe working load of 400 metric tonnes..